Ninja costumes are always popular at Halloween and throughout the year as playtime favorites. The Lego Ninjago line of sets put another spin on costumes with its cast in the latest Lego Ninjago movie. If you’re a fan of Ninja, you may want to check out costumes such as Lloyd the Green Ninja and Master Wu. 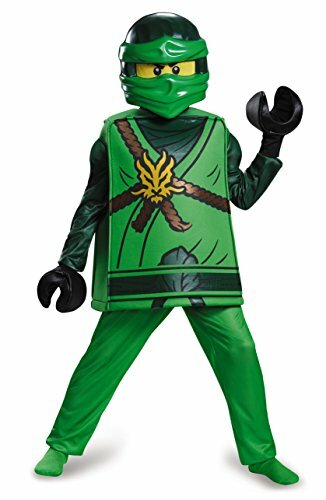 Lloyd the Green Ninja child’s costume are really cool and fun with all LEGO markings and pants that sport molded muscles. There are feet and an elastic waistband for easy fit. Mask and gloves are also included. 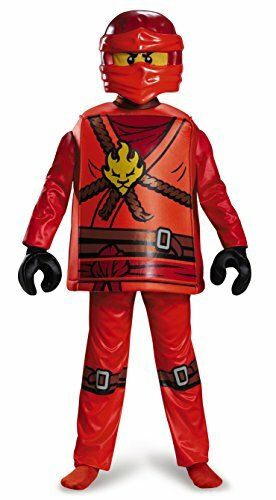 Another fun character is Master Wu, the wise and funny Ninja who wears a spectacular flowing robe with a faux leather tunic. You can get the Chinese martial arts master wig and also the long white beard, sold separately. 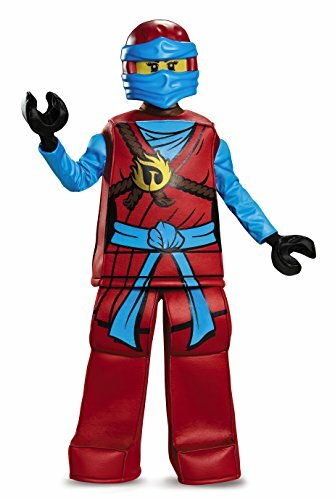 Dress incognito with the Disguise Lloyd Prestige Ninjago Lego costume and face the showdown of ninjas who must band together to realize their ultimate powers. Ninja costumes have been the choice of children and adults for many years. The Ninja series and movie have piqued a new generation of Ninja lovers and costumes are now available for just about buy every Ninja character you can think of. And don’t forget the Ninja dragons. Dragons were the ancient fighting animals of the Ninjas and each Ninja had his or her own, which they named with various powerful names such as Titanium Dragon and MechDragon. Your child will have fun playing imaginary games dressed in his or her Ninja costume and riding his dragon to save the world. Whether dressed as a Samurai warrior or one of the main Ninjas such as Kai – the Master of Fire, Cole – the Master of Earth, Jay – the Master of Lightning, or even Zane – the Master of Ice, children love to dress up like all the Ninja characters. There must be a villain in the mix, and the evil Lord Garmadon, leader of the skeleton army, is a formidable foe. 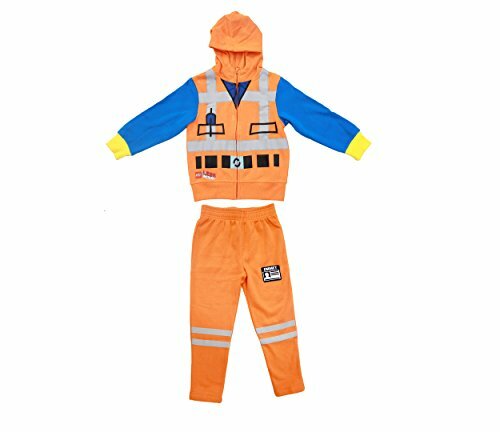 Garmadon also has costumes for any little Ninja who wants to play the role of villain. 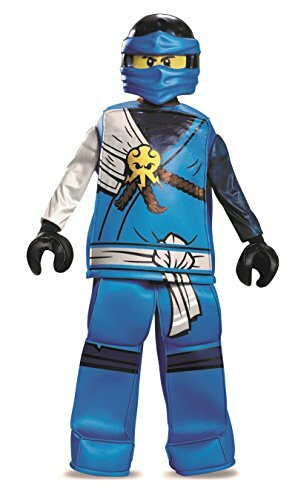 Ninjas have been the chosen costume for kids for many years, and you’re sure to find the one your child longs for online. Also check out the accessories for Ninjas such as swords, shields and wigs. They all add to the fun of being a Ninja warrior. 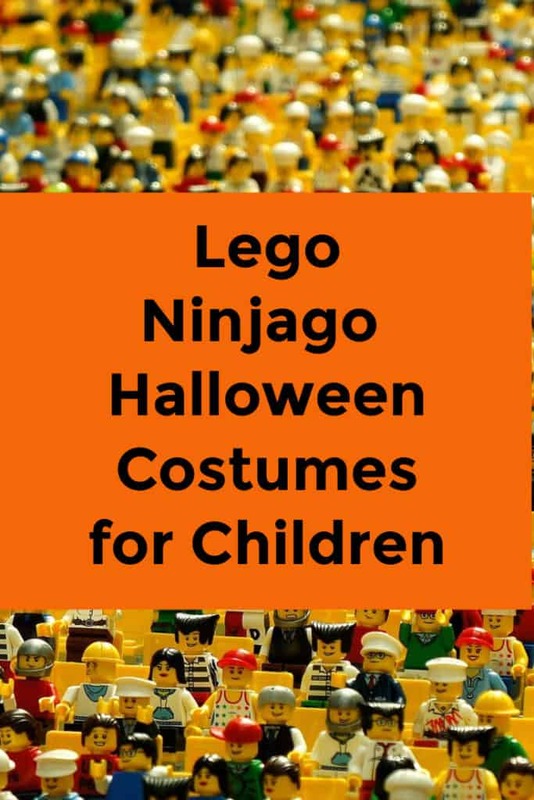 Your little one will wear his Ninja costume on Halloween night and many days ahead as his imagination takes over and he becomes a real, dragon riding, sword wielding Ninja warrior.